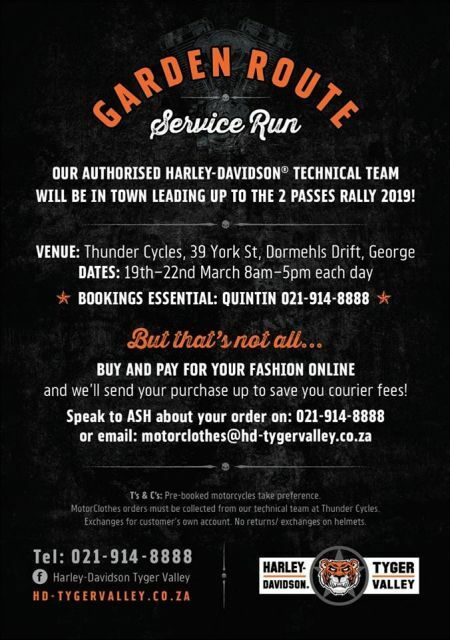 Our authorised Harley-Davidson® technical team will be in town leading up to the 2 Passes Rally 2019! Venue: Thunder Cycles, 39 York St, Dormehls Drift, George. Dates: 19th – 22nd March 8am – 5pm each day. Buy and pay for your fashion online and we’ll send your purchase up to save you courier fees!